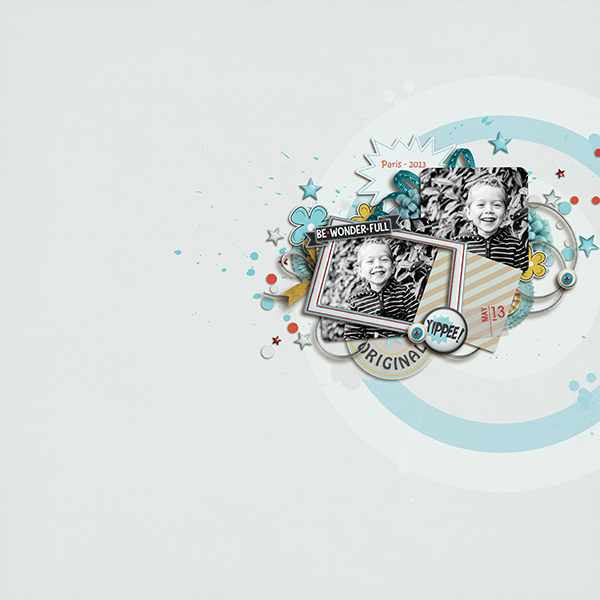 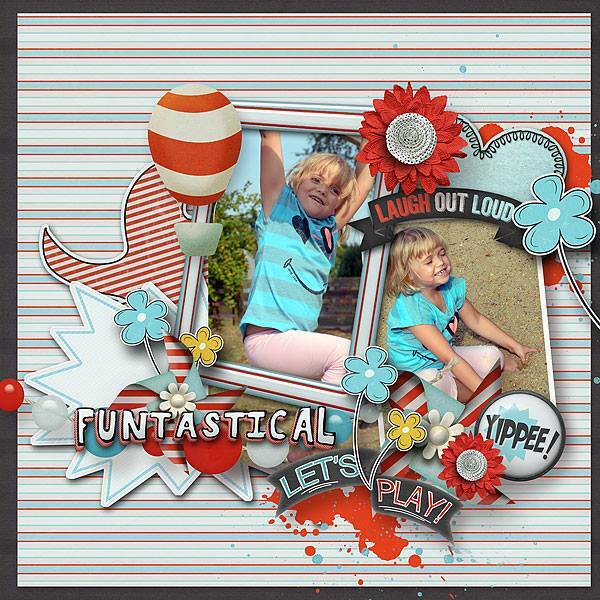 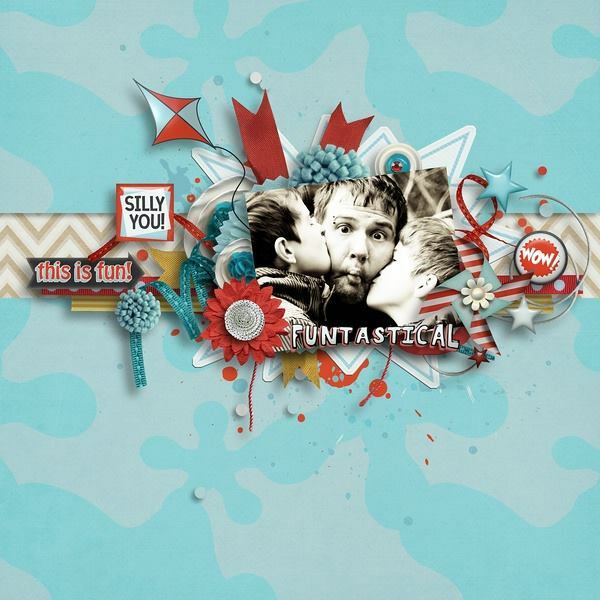 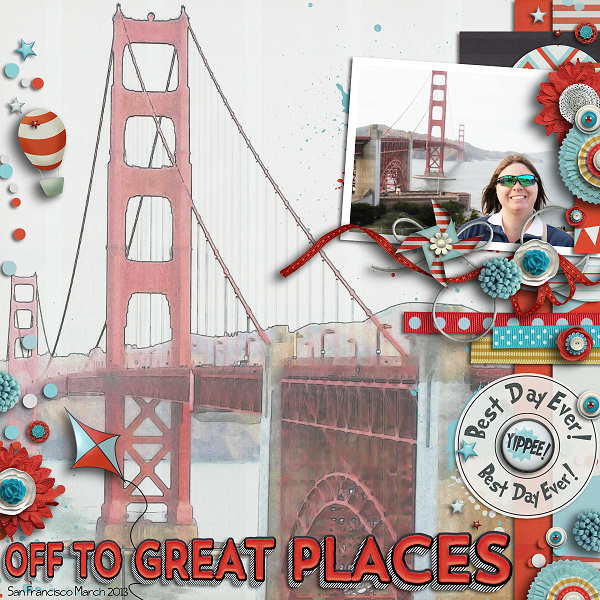 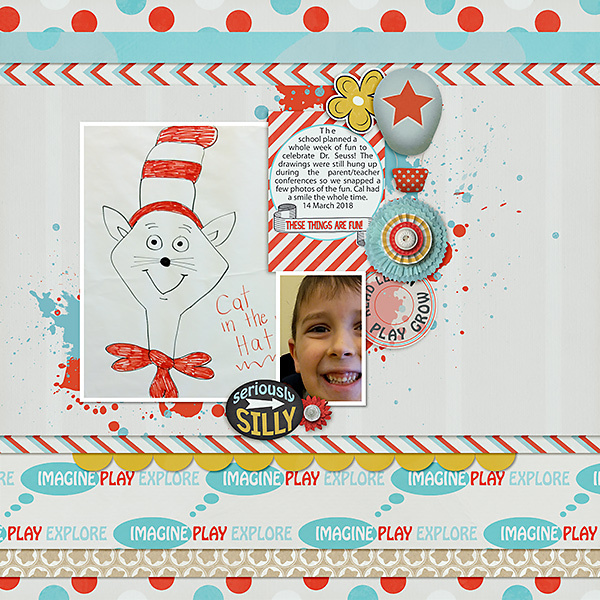 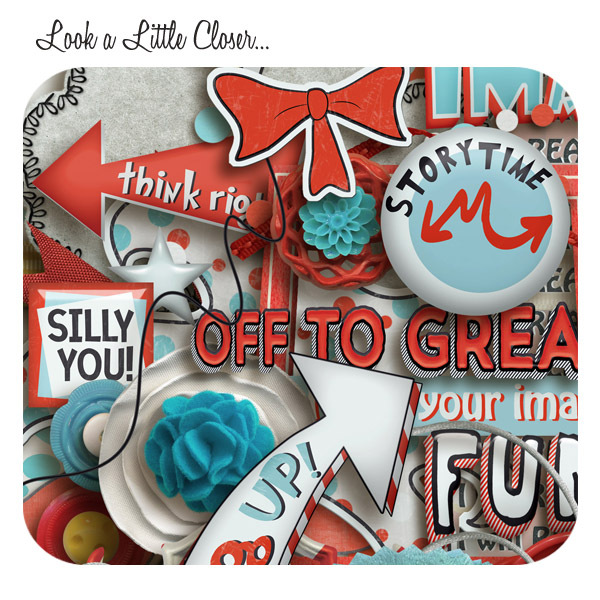 Bring some playful joy to your memory keeping with this happy page kit by ForeverJoy Designs! 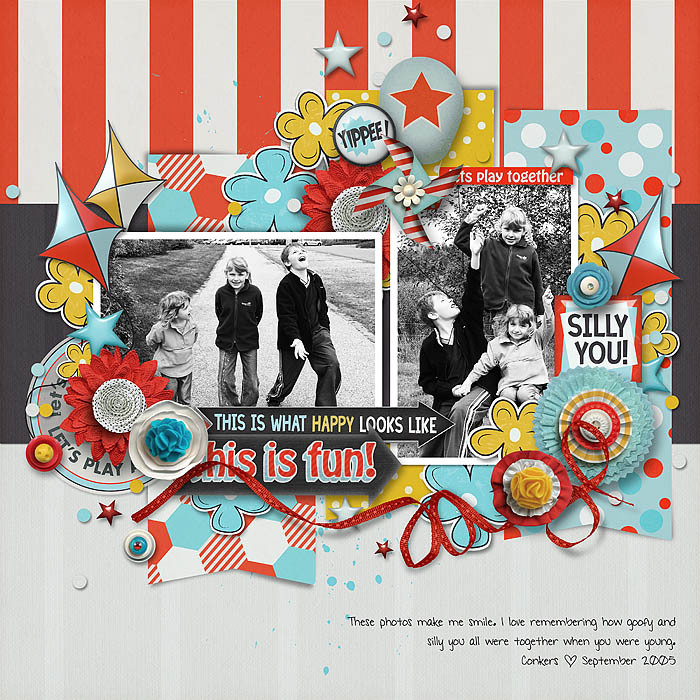 Inside you will enjoy 29 papers (24 pattered, 5 solids) and over 70 elements including 2 hot air balloons ready to take you to wherever your imagination desires, 4 fun arrows to point the way, a ball, (you know, so you can "have a ball! 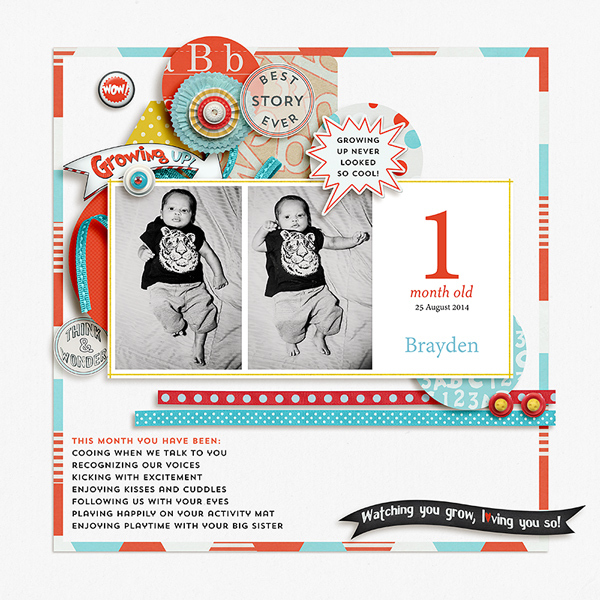 "), a banner of colored bubbles, a stack of books sticker, 2 sticker bows and 4 real ones as well, 2 brads, 4 buttons, 2 pins, a story time clock, 2 scatters of confetti, 2 flairs, 6 flowers, 2 hand drawn flower stickers, 3 frames, 2 journal spots, 2 kites, a playful pinwheel, 2 stitch rimmed puffy clouds, 5 ribbons, 4 snippets, 2 splats, stars, 4 fun hand drawn trees and 9 pieces of word art. 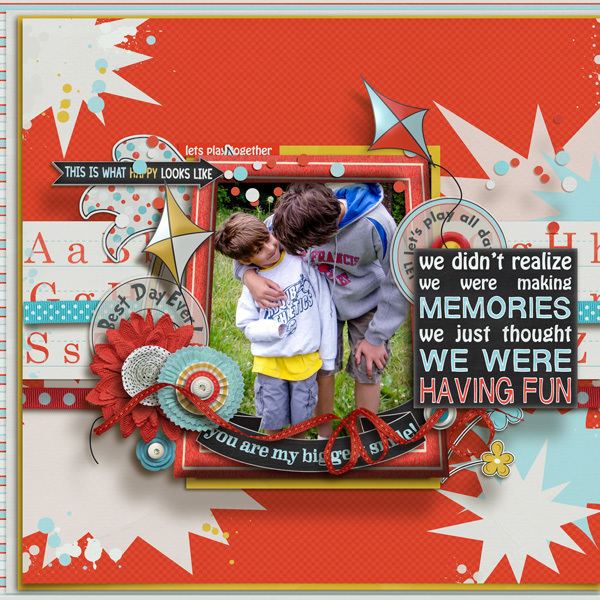 *Please note: Some layouts may contain products that are available in the bundle or are sold separately from the page kit. 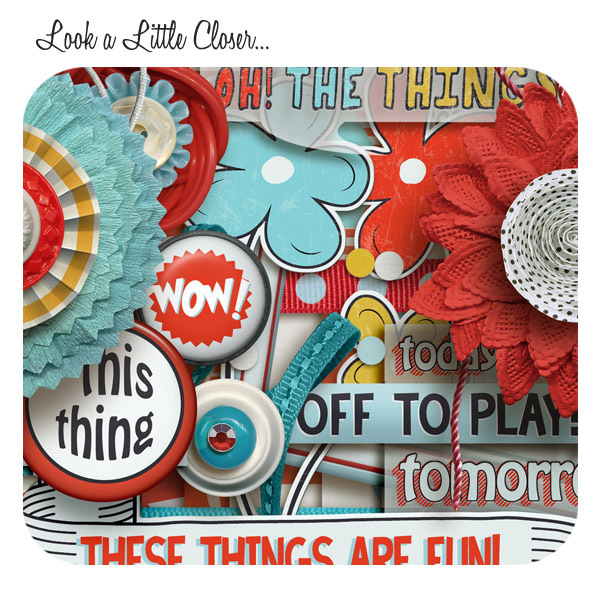 Only the items shown in the previews and described above are available in the page kit. 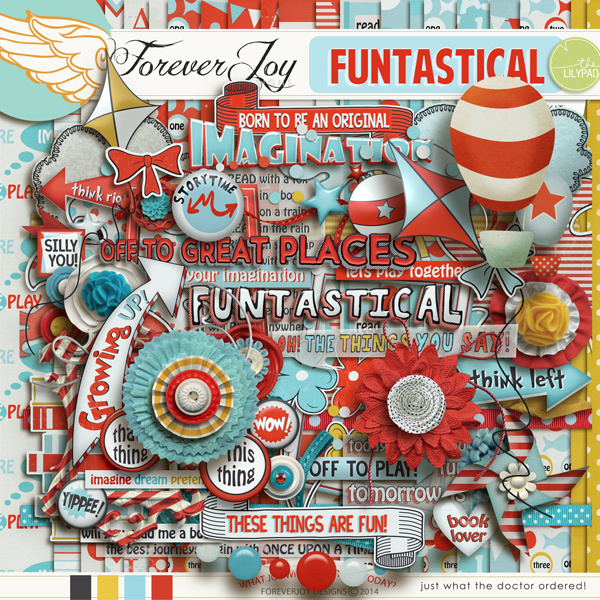 Chalk Art, Vellum Spots and Coordinating Kraft papers are sold separately, or are available in the FUNTASTICAL BUNDLE.